I have a ritual of going to Somethin’ Sweet Donuts every weekend for a doughnut fix. 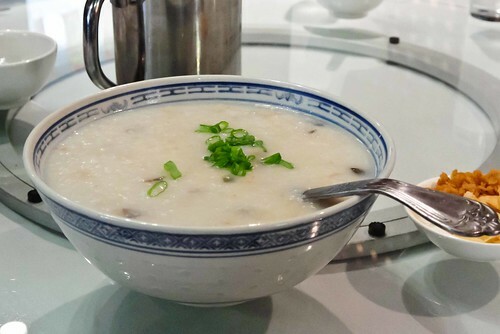 On my recent visit, I asked the cashier about Kim Long Restaurant, which is the restaurant next door at 5114 W. Fullerton Avenue. I was wondering if she had gone there. She gave me a modest, “It’s okay” response. 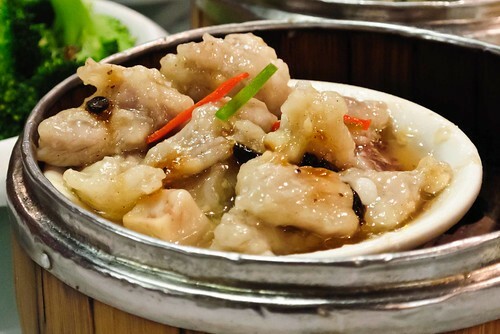 I have not been a fan of restaurant Chinese food since I had some truly authentic Chinese food in 1991, so I am always leery of getting China Buffet quality food when I go to any Chinese eateries. Well, let’s just say that it was considerably better than okay. I mentally went back to 1991. 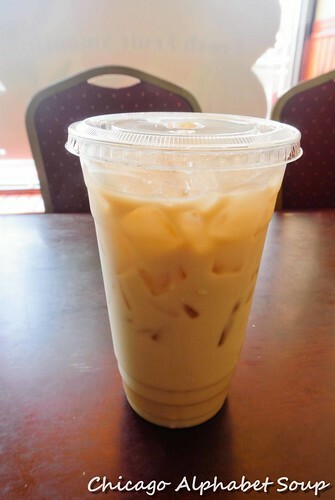 Hong Kong milk tea. 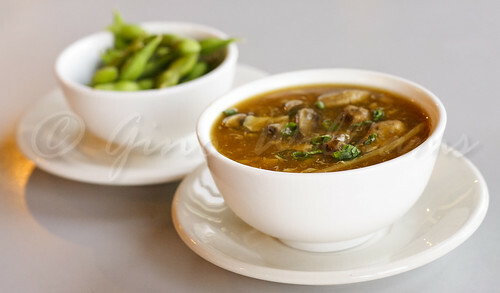 Hot and sour soup. 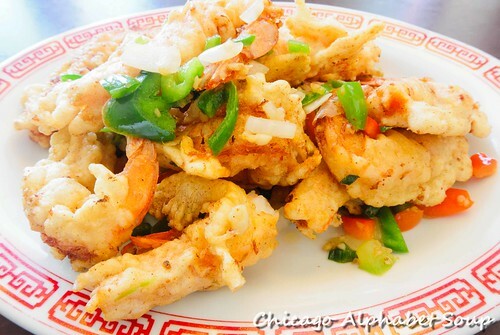 Salt and pepper shrimp. 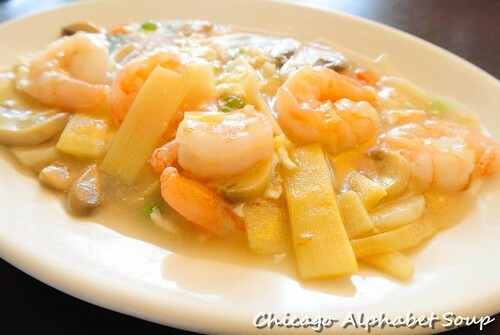 Shrimp in lobster sauce. 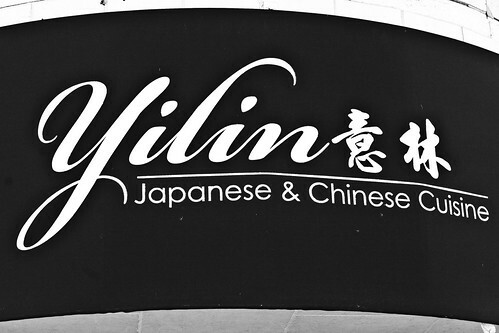 I figured that I would at least sample something familiar and two dishes that I had not had before. 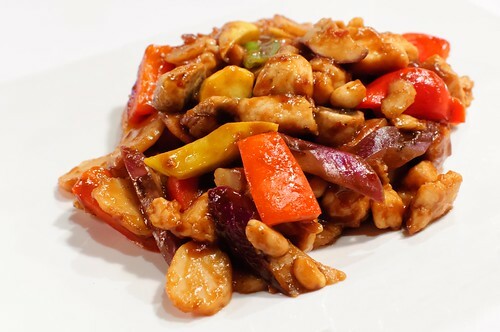 The goal was the avoid general chicken, kung pao, egg foo young, orange chicken, and the usual Americanized fare. First, I am hooked on the Hong Kong milk tea. It reminds me of a cross between bubble tea without the tapioca pearls and Thai iced tea without the smokiness. For the muggy temperatures we had been having in Chicago, it was ideal for cooling off from the humidity. The hot and sour soup had a lot more flavour to it than what I’ve had at Americanized Chinese restaurants. The bowl of soup seemed full of ingredients, not just a few items swimming in a pool of broth. And it was hearty, quite impossible to be flavourless. 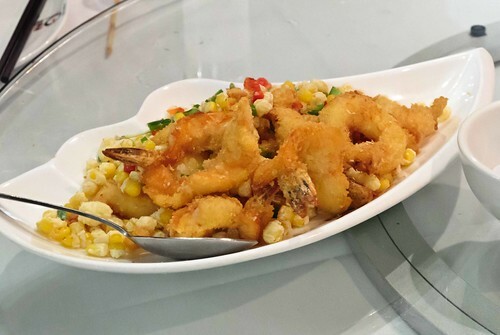 The salt and pepper shrimp was a winner. I wasn’t expecting the head to be attached to the shrimp. I am accustomed to having to pull the shell from the tail, but having it on the head was a surprise. Once I got the shell off, it was all good. And there was a fair amount of meat in the head, packing a succulent wallop. I’m addicted to the shrimp in lobster sauce. This entrée came with snow peas, bamboo shoots, and mushrooms. 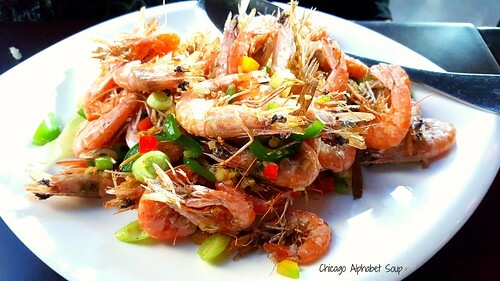 The shrimp was not of the miniature variety, quite plump and fresh on the palate. Served with rice and spicy as requested, I can say without hesitation that my craving had been satisfied thoroughly. When I was leaving, I saw an older woman who used to be at Somethin’ Sweet Donuts when I first started going there. She yelled at me jokingly to not leave the restaurant without speaking, just before commenting about me having trimmed my beard since the last time she had seen me. I had a long conversation before leaving. She mentioned that Somethin’ Sweet Donuts and Kim Long Restaurant are family owned. I guess my ritual now will be to go to Kim Long Chinese Restaurant for dinner and then to Somethin’ Sweet Donuts for my usual doughnut dessert fix. When Chicago has beautiful autumn days, the city comes alive in a Wonderland fashion. There is enough nip in the air that only a light jacket is required. The skies are usually the most vibrant blue, thanks to no humidity or clouds. The leaves on the trees look aflame against the backdrop of the sun. The streets are filled with people taking it all in because usually in about a week or so, the temperatures drop, the skies become a constant grey, and it rains enough to give Seattle competition for wet forecasts. As for me, I no doubt take advantage of the outdoors for going to any number of restaurants for food happiness. Then again, I do that all year long. 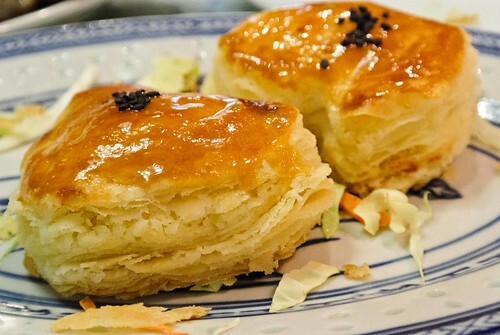 I received an email note with a recommendation for a shop in Chicago’s Wicker Park that sells bobo tea and bao sandwiches. Although the leg work I get during my CrossFit training leaves me with stiff legs and a want for soaking endlessly in a tub filled with Epsom salts, I can bend my legs long enough to put them under a table at some restaurant or cafe. 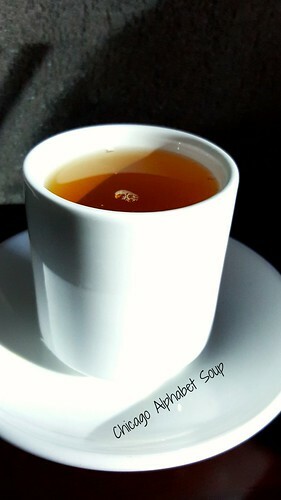 So, I noted the recommendation and went to Bee & Tea at 1843 W. North Avenue. 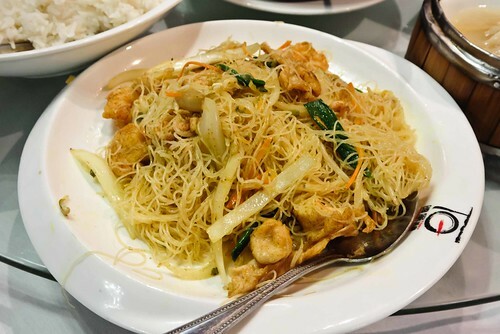 Located on a busy stretch of North Avenue, just off the North-Milwaukee-Damen intersection, Bee & Tea is a nice sized restaurant with enough seating for those who wish to dine in. 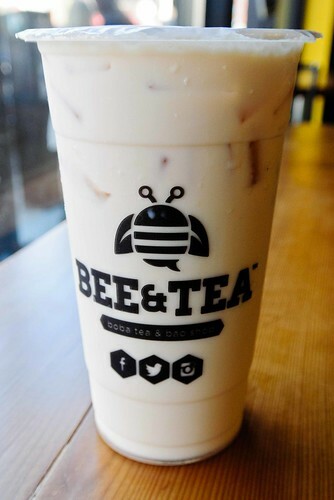 I was thinking that Bee & Tea would be something like Wow Bao, but with specialty teas on the menus. After first glance at the menu, I was surprised pleasantly. Having gobbled a large breakfast after my morning workout session, I had enough room for a light to moderate sized breakfast. I ordered a jasmine bobo tea with pineapple. There were other flavours that I could have chosen, but I swear the jasmine bobo tea with pineapple had an extra ingredient that fueled my thirst. With no sugar added because I wanted only the natural flavouring of the jasmine tea, milk, and pineapple, this was the most refreshing beverage I have had in a long time. 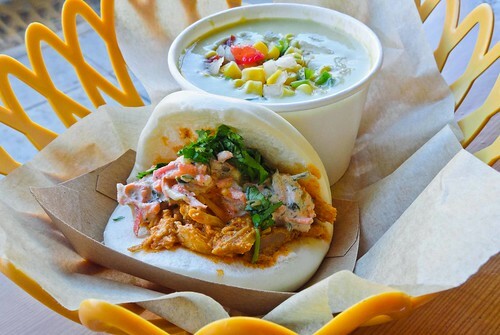 For lunch, I ordered a cup of edamame soup and a bao sandwich stuffed with Indian butter chicken. Three words to describe those two items: completely blown away. The edamame soup was creamed edamame with corn and peppers. 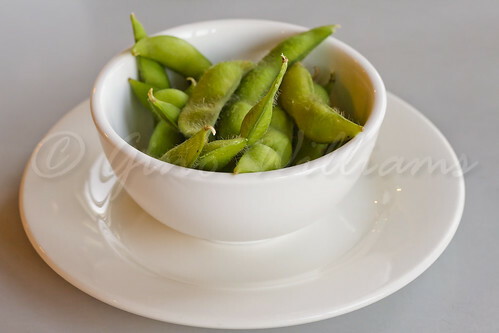 I recalled having edamame soup at a Japanese restaurant that had a wow factor to it. 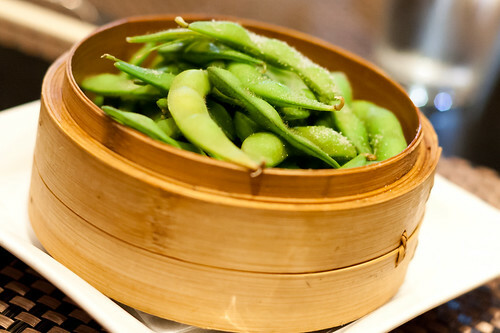 The edamame soup at Bee & Tea went up a few notches with an addictive factor. The bao with butter chicken was a new experience. 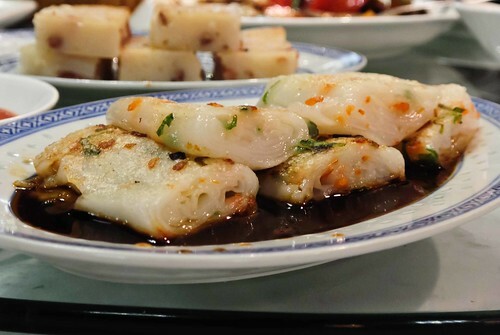 Baos are usually served as stuffed steamed buns. However, the bao at Bee & Tea is sliced open with the consistency of a bao, but served half open faced like Venezuelan arepa sandwiches. But it was the Pan-Asian blend of the Chinese bao and the Indian butter chicken that left me walking out of the restaurant declaring this my favourite sandwich ever. 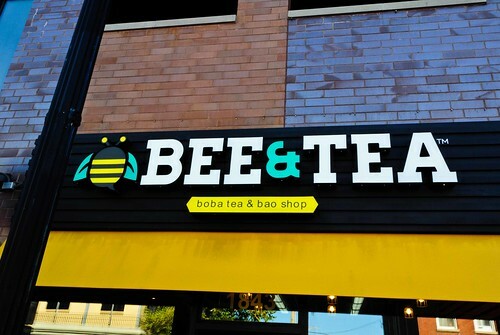 Bee & Tea is relatively new on the Wicker Park landscape. What I think will shine the most are the teas. Those who like natural flavouring to their drinks without additives and extra sugar will become a fan of the bobo teas and their smoothies. 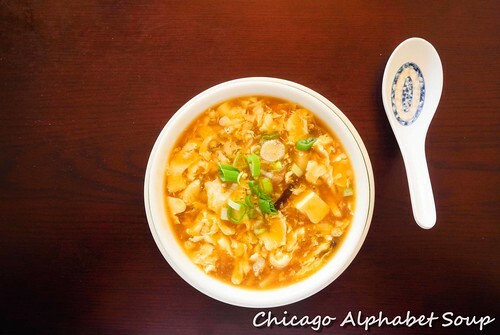 The baos will be a sure winner and seeing that they also have rice bowls, mixed greens, and quinoa bowls, Bee & Tea serves healthy options that many in Chicago will love. If you find yourself buzzing about near any of their locations, it is worth quenching your thirst with one of their teas or smoothies and indulging any of their food items. For a selection of locations, click link to Bee & Tea’s main website to see if one is near you — Bee & Tea locations. 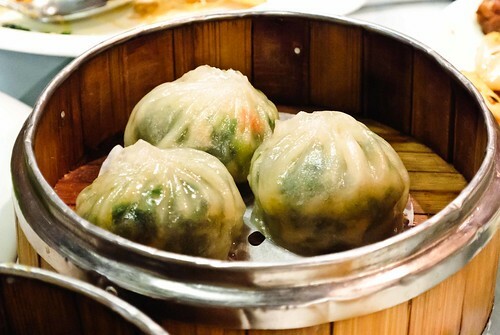 Recently, a few visits to some high quality restaurants in Berwyn, Illinois, proved that the neighbouring suburbs are becoming a food force with which to reckon. It was always a given that Oak Park had a lot of talent, one of the main reasons why I spend so much time there with my feet under some table. But I had forgotten about Chicago’s suburban neighbour to the north: Evanston. 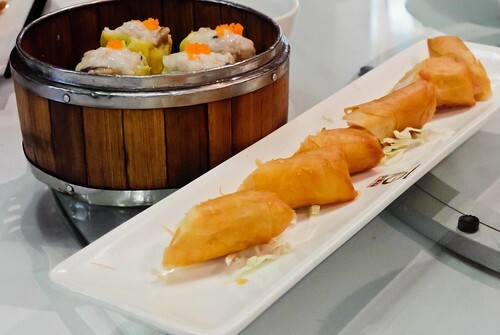 And during a visit with a schoolmate from high school and college, we sauntered over to a Pan-Asian restaurant Koi at 624 Davis Street, in downtown Evanston. As we got to the door, it had occurred to me that I think I had seen Koi listed as a sister restaurant to Sushi House in Oak Park, Illinois. Well, I think I have. 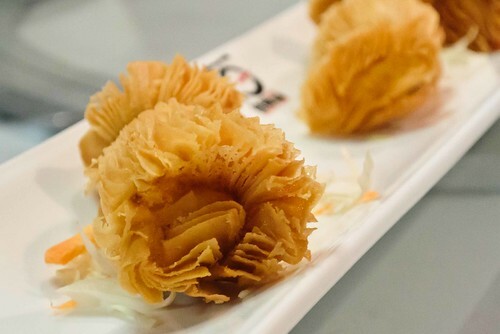 After the fifteenth visit, I had stopped counting how many time I had gone to Sushi House, so I was certain that I would have an experience at Koi that would be memorable enough to have me come back. There was the formula lounge feel with dim lights, straight edges to the décor, painfully attractive hostesses, and faint Brazilian jazz playing in the background. Lucky for us, we had arrived before the theatre crowd. Forgetting that downtown Evanston is not like Mayberry, there is life after the sun goes down. There were several patrons who had come in a half hour after we had arrived and they were in a rush to have their meals before dashing off to see some show or cinema event. 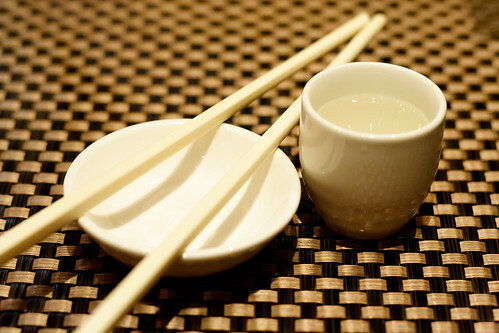 We had placed our orders and were snacking on the complementary edamame while imbibing wine and warm sake. Chilly outside, we were certain to be warm and toasty on the inside. Now, with this restaurant catering to the palate that loves sushi and maki rolls, we had a balance of exciting, pedestrian, and commonplace. For the exciting maki roll, we had a volcano. The presentation alone was a work of art. 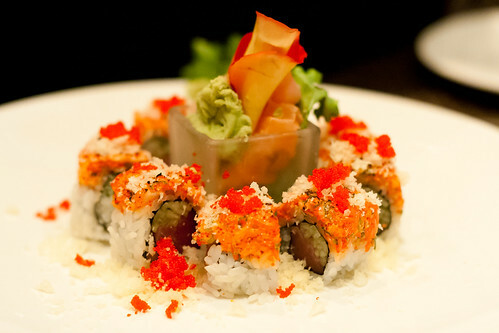 What would have come out as a maki roll with imitation crab was one where we instead requested real crab. Sure there was a $2.00 additional charge, but there was no valid reason for us to deprive ourselves of the real thing. The spicy mayonnaise added a proper kick such that there was no need to put wasabi in the soy sauce. The misleading thing about the maki was that the leading meat in the recipe per the menu was crab. Instead, tuna was the stand-out meat. That was fine, but people who are sushi fanatics can flag such advertisement as false. However, we worked our chopsticks on the maki. For the pedestrian, we had a California roll. Another university schoolmate had joined us and was adventurous yet with more reserve than my grade school friend and I were. And unlike most California rolls, again we requested real crab meat. 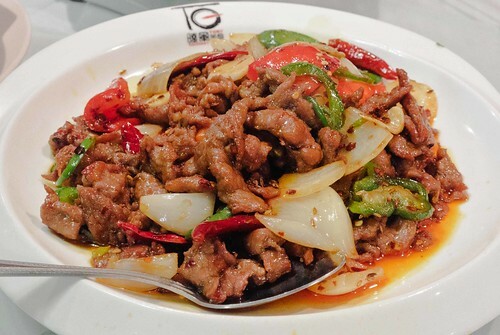 We had no desire to gnash on meat extracted from imitation crabs. Where do you find them? Are they some McDonald’s product, like McNuggets and McRib? Is there such a thing? If there is, we could not speak to its flavour on this particular evening. 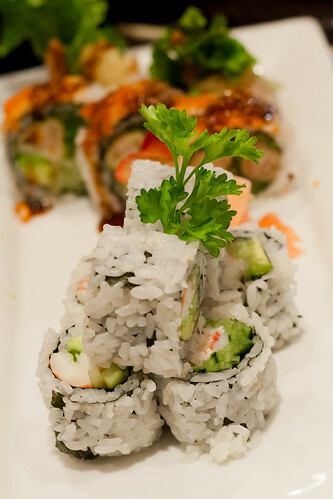 The basic ingredients of crab, avocado, and cucumber were no different than what you have in any California roll. The thing is the flavour in real crab stands out more than the smack of the fabricated crab. My grade school friend had a Riesling that she said was a perfect match for the maki rolls. Our mutual friend and I had warm sake that took our minds completely off the fact that it was frosty and raining outside in London fashion. 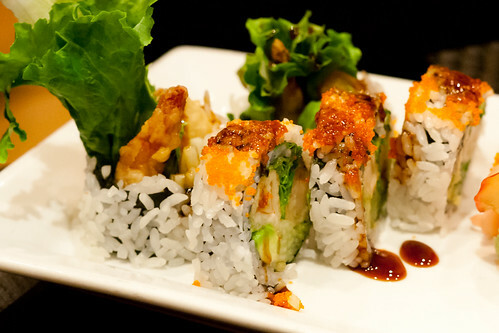 The commonplace maki roll was shrimp tempura maki. Tempura shrimp, lettuce, avocado, cucumber, and three individuals applying chopsticks a notch or two less than relentless would be the best way to describe things. Again, we had another maki roll that looked more aesthetically pleasing than one would think as far as flavour goes. 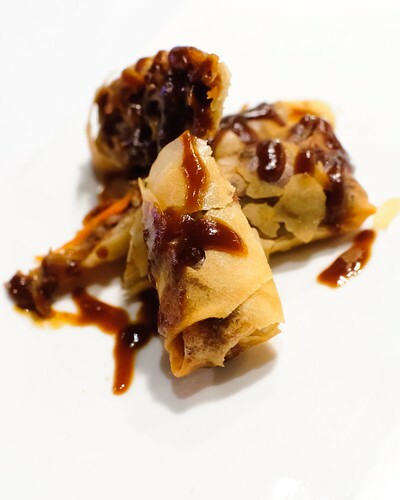 We had our moments of brief silence while directing our attentions on the previous two maki rolls, but the tempura shrimp maki resulted in impregnated silences. To the average person, it would have been uncomfortable. To the three of us, it was our way of acknowledging the goodness of what sat before us without us being verbal about it. Then we entertained the Pan-Asian aspect of the restaurant. This was when I accepted the fact that Koi is not on a par with Sushi House, as the latter remains true to Japanese authenticity in its cuisine only. 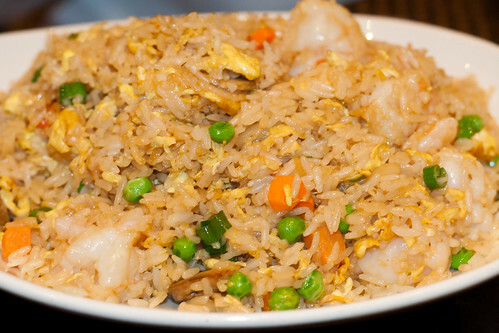 There was a plate of shrimp fried rice ordered. 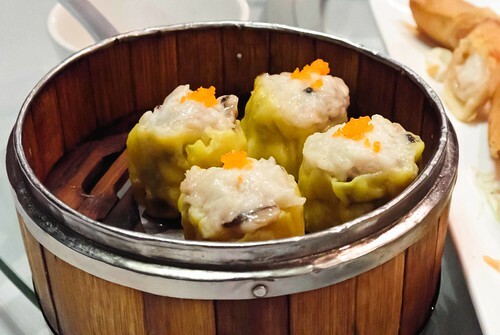 Filled with fresh, plump shrimp and bursting with flavour without any overcompensation, anyone could have seen that there were three very happy people at the table. I also have to admit when you can taste the egg in a dish, the real thing was used versus the out-of-the-carton what-not. This may be one of the very notable things that Koi should work without pause. Where it really became evident that we were delighting ourselves a bit too much was when my schoolmate and I started speaking in Japanese while having shrimp lo mein. Neither one of us look anything relatively close to Asian, although my infectious smile results in a slant to my already-exotic eyes. 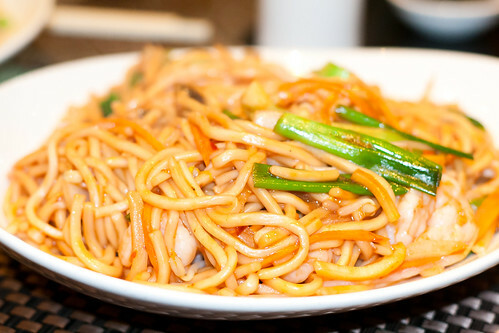 Instead of lo mein sauce on the noodles, we had a Schezuan sauce. 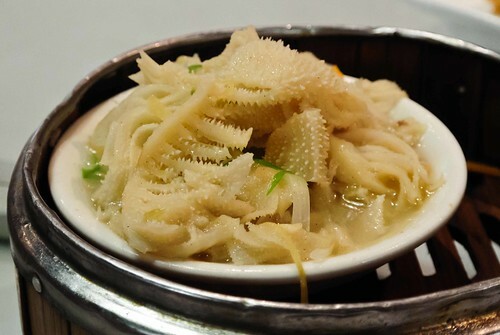 Again, plump shrimp sat under tasty noodles in sauce before we bit, chewed, and smiled. 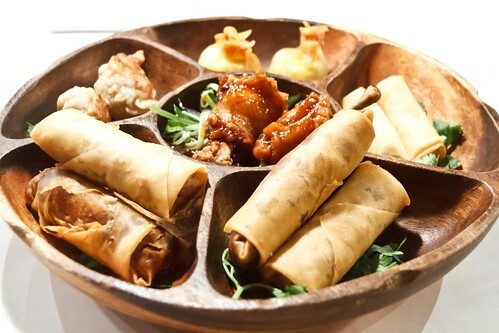 Koi is a fantastic Pan-Asian restaurant. But it is advisable to go before the crowd starts because the tide of hungry patrons seemed to introduce a bit of scrambling to the wait staff. Some people could misinterpret the vacant attention to uncaring customer service when it is simply a case of being overwhelmed with a sudden influx of people coming in with various requests for this, that, and the other. Expect to pay a pretty penny. And while the service could become taxed due to a quick rush of customers, they are still gracious. The next time I go I shall not be so coy with my appetite. I shall request my very own little degustation so that I can try more from the menu. Yes, that coming after I have already listed the serious dishes we had during this visit. One of the things about being a part of the global community is that friends from other countries are constantly giving me suggestions for restaurants. 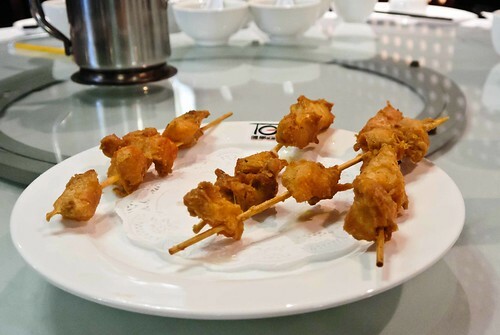 At dinner a few weeks ago, I had discussion with a friend about a high-end restaurant in Chicago proper that does an outstanding job blending Indian and Latin flavours. She had then told me about a restaurant that had recently opened in Hoffman Estate, Illinois, named Bombay Chopsticks at 721 W. Golf Road. 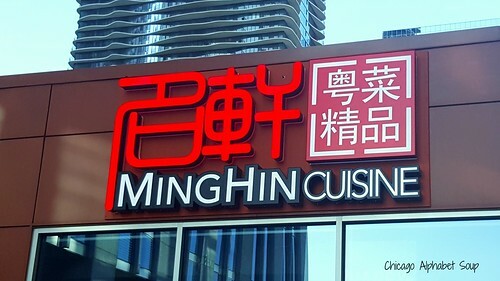 The name had given me an idea of what one could expect if going to the restaurant for some food happiness. 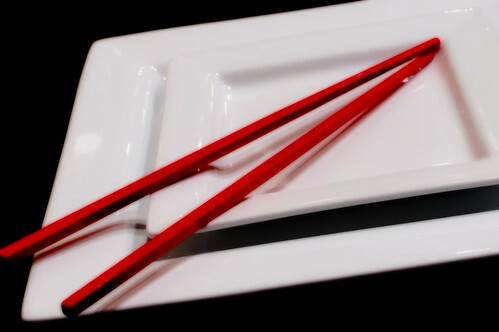 I immediately associated Bombay with India and chopsticks with Japan. No sooner had she mentioned the restaurant than I entered a date into my calendar so that I could see what Bombay Chopsticks has on its menu. It was out to the Northwest Suburbs on a beautiful yet brisk Saturday morning so that I could be certain of beating the crowd. 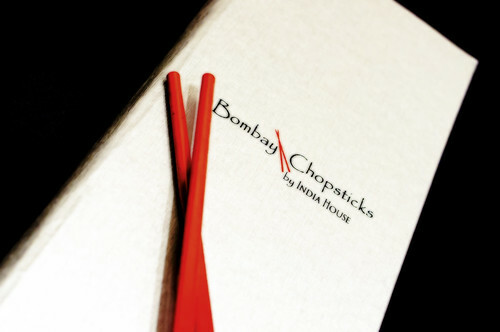 Upon entering Bombay Chopsticks, I felt as though I was at a lounge. There is a full bar at the entrance. When you go past the bar and around the corner, there is a large area for seating and the decor is definitely inviting. There are comfy booths, which are perfect for dates. There are enough table seats for parties of four or more. The lighting inside was ideal in that going as a single person does not make you feel as though you are in an intimate setting; there was no mood lighting giving that effect. Led to a table by an accommodating hostess who was okay with me having my pick of seats because I was going to photograph my food — par for the course — I had a feeling that everything was going to be just fine this afternoon. 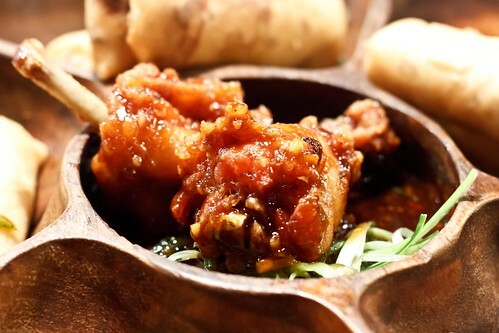 As usual in Pan-Asian cuisine, this time there being Indian and East Asian, the menu is extensive. The pescatarian in me scanned the menu for vegetarian and seafood options, so I had narrowed down my choices. Now, not that I was difficult, but I was rather eccentric with my order. There were three entrées that I wanted. That being the case, appetizers were not an option. There were two vegetarian dishes and one seafood dish that turned my food alarm on. When placing my order, I told the waitress that I wanted three entrées, each to be served as small tastes, with the rest packed for me to take home. 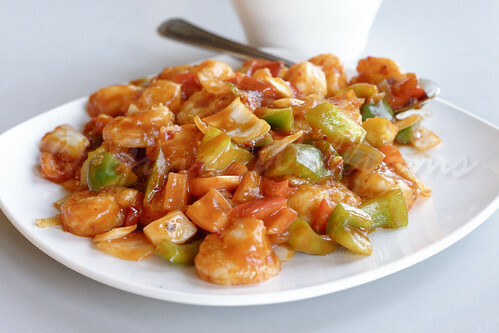 She had recommended salt and pepper okra, shrimp in chilli garlic tomato sauce, and baby potatoes Thai style. 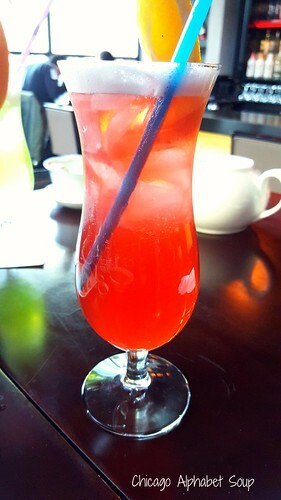 I complied and while I waited for the experience to begin, I sipped some rather refreshing mango juice. The waitress had placed the order linearly. Instead of having everything come to the table at once only to get cold, the first entrée arrive at the table was the salt and pepper okra. As a lover of gumbo, which is full of okra of the slimy nature, I was anxious to see how fried okra would taste in a salt and pepper batter. 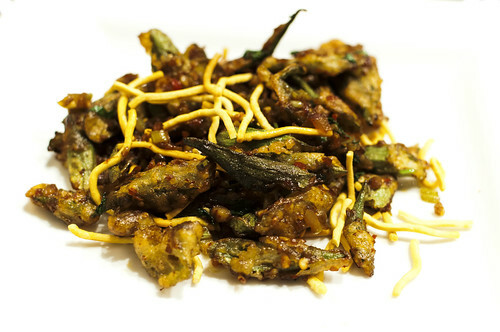 Much like some salt and pepper chicken I have had at a Vietnamese restaurant and salt and pepper soft shell crab I have had at a Pan-Asian restaurant recently, this fried okra dish reminded me of both in a “precious memories” kind of way. Spicy the way I like peppery food and served with crispy noodles and steamed rice, I was grateful that the first recommendation had won me over. There was a bit of timing between the first entrée and the second one. This was to allow a moment of rest before the second course. 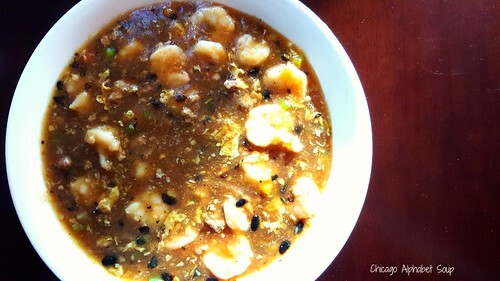 Next to the table was a bowl of shrimp in a chilli garlic tomato sauce. This dish was closer to Indian and what I recalled during a visit to Bombay several years ago — although the dish I had eaten in Bombay was filled with fish rather than shrimp. At any rate, the shrimp in this bowl of satisfaction were plump to the point where they really did burst in my mouth when I bit into them. The sauce was spicy in a divine way. I cannot say that most people would be okay with the pepper dancing around their tongue and jaws, but it was outstanding to me. Eaten with rice to minimize some of the pepper, this was yet another suggestion that was a winner. We allowed for more time between the second entrée and the third entrée. Granted the portions were small, as I was taking the remaining portion of the entrées home, they were still filling. Once I gave the signal, the order was placed and the third dish came to the table in the form of baby potatoes prepared Thai style. 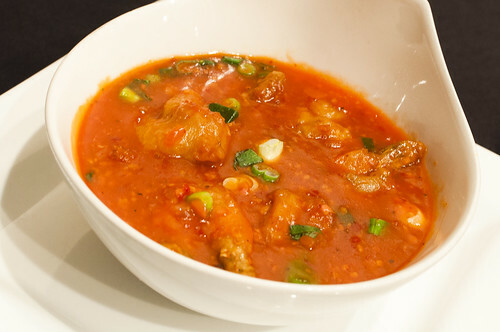 This was another spicy dish that was prepared in a gravy that had peanuts and a bit of a kick to it. Not really being a fan of any kind of nuts — except for almonds, pistachios, hazelnuts, and pine nuts — I made no fuss about the peanuts in the dish and I ate it with the steam rice that came with it. 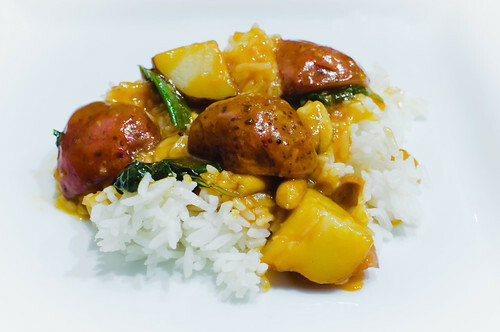 There was a moment of complete satisfaction to be acknowledged as I worked my fork and spoon on the rice and the baby potatoes in the Thai gravy. 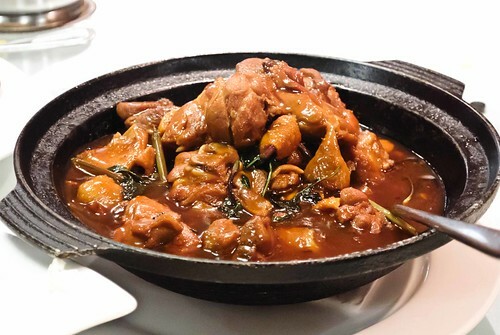 By the time I had completed this dish, I was incredibly grateful that the waitress had given three fantastic recommendations because, as I had mentioned, the menu was filled with a large selection of choices. Customary but not necessary was dessert. 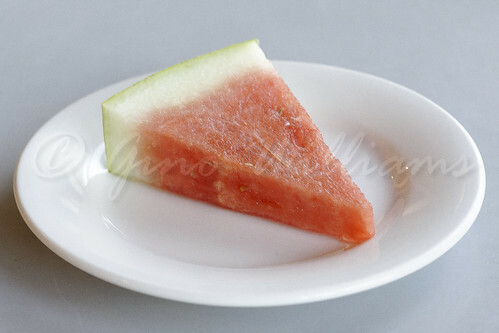 There was a bit of time that I let pass before I had decided to indulge something sweet to the palate. 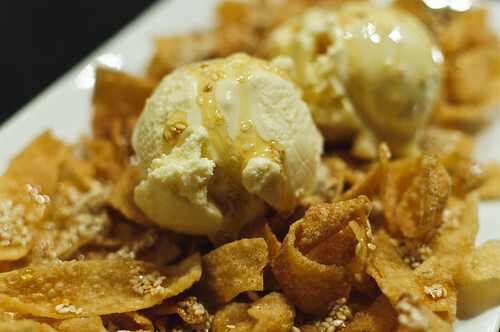 I ordered crispy noodles drizzled with honey and accented with sesame seeds and two scoops of vanilla ice cream. I put honey in my tea, in my yogurt, and in my honey chocolate cake, but having it served over crispy noodles and ice cream was new. And let me just say that this was a new experience that I enjoyed to the point of rapture. And now that I think of it, the only other time I have had a dessert with similar ingredients was an Ethiopian restaurant where they drizzled chocolate instead of honey over the ice cream and crispy noodles. However, having it today really made me that more appreciative of having an experimental palate. 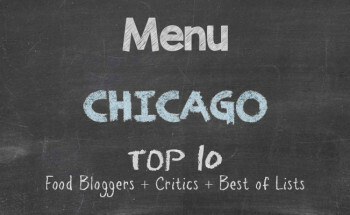 Usually I have a tendency to avoid restaurants that receive too many negative reviews. The experience actually comes in three parts: what you put into it by being open to trying something different, your positive interaction with your server, and what you want to get out of it different from what you have already had before. On entrance into Bombay Chopsticks, I was greeted with a welcome. 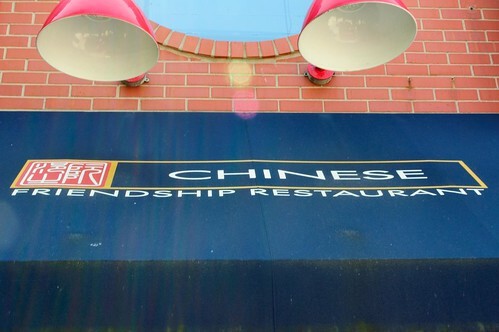 My server was the epitome of outstanding customer service and attentiveness, as well as knowledgeable enough to recommend three dishes to a stranger, which is what I was when I sat at the table. Be forewarned that the prices range from $12 to $15 for the entrées. 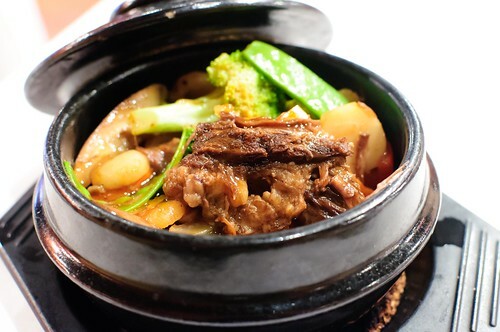 Also be aware that the flavours can be overpowering if your palate is accustomed to milder dishes. 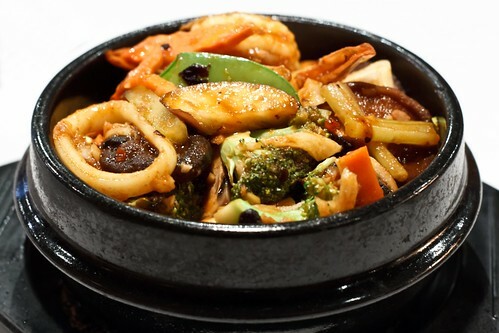 Yes, you can order the food milder, but there is more pop when the spices are added as they are in the dishes natively. As I had initially thought of India and Japan, I found that there is a bit of East Asia with hints of Indian preparations added. 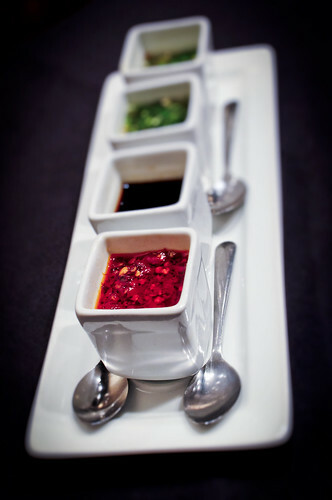 There are no duelling spices, so whichever ethnicity is represented in the recipe is allowed to shine. Before I departed Bombay Chopsticks with the remainder of my entrées, I sent a text message to my friend to thank her for prompting me about the restaurant and I made a mental note to myself that I shall find my way back out to Hoffman Estates in the near future for another restaurant jaunt at Bombay Chopsticks. This was a positive experience.